SUMO rode his neat little Panther Bobber down to the The Hayride. 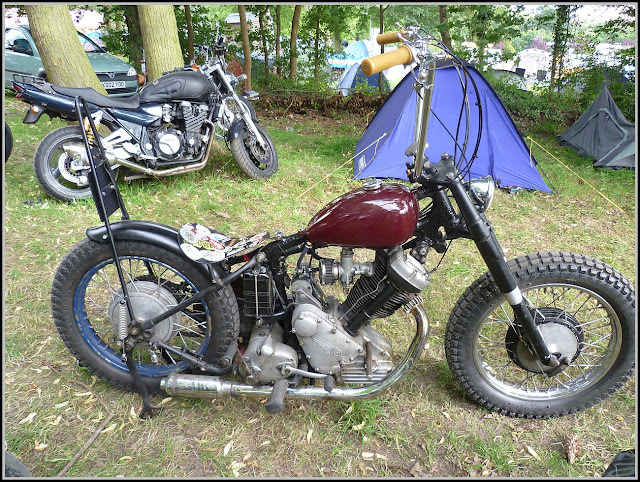 built as a test bed bike for the motors he is building up for his assault on the salt dual engined Panther! It just goes to show that neat stuff can be created "outside of the box" without a huge amount of outlay, but an abundance of imagination.